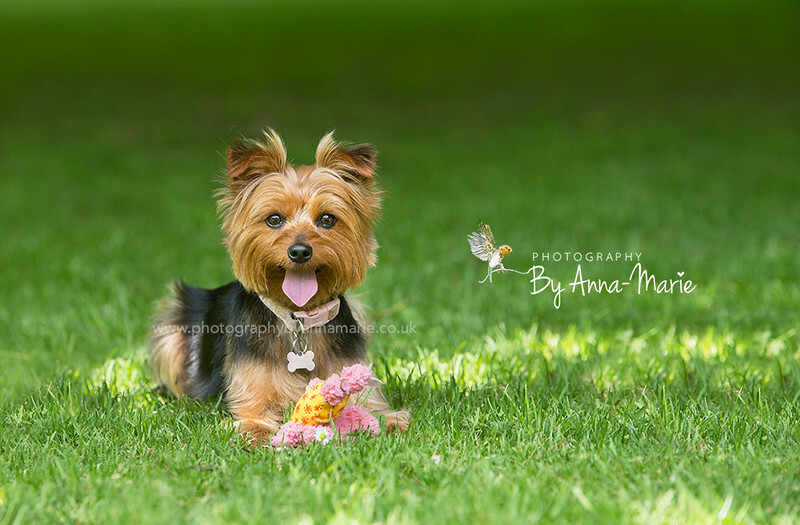 What could possibly be better than photographing one dog? Photographing two of course! This gorgeous pair are brother and sister and I had the most fun with these dogs on their photo shoot. Just look at them. They are the sweetest Yorkshire terriers I have ever met and so tiny. Their little characters shone as soon as I met them. They were both very much the poser, very eager to 'smile' for the camera, and I loved that about them. Teddy and Tillys mummy was given a gift voucher for her pet photography session with me, and could hardly wait for them to be photographed. We set off to the park on a sunny day and I captured their characters as they sniffed the new found smells and played together. Their beautiful grey coats contrasting perfectly against the green grassy background. This location is particularly pretty in summer - with the vibrant greens and tall, bushy trees. 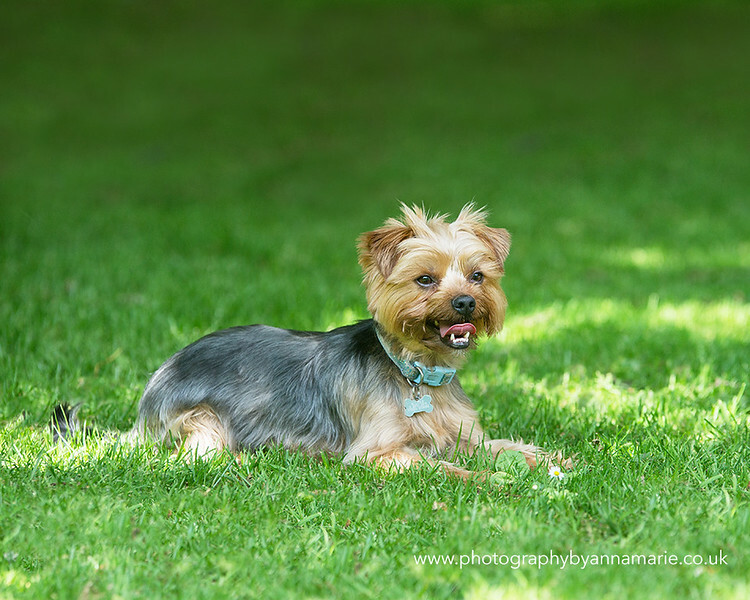 The weather was beautiful for us and the dogs really enjoyed their photo session as much as I did photographing them. Here are a few highlights from our session for you to enjoy.